A lot of people give their homes a “spring cleaning” every year to make their homes more livable. Far fewer people consider doing the same for their digital “homes”: their computers. Do you have a Mac that’s not running as well as it should be? It happens a lot, but fortunately, there are many ways to fix this problem. Some of these solutions are easier than others, but many of these cost more money; wouldn’t you rather find a “happy medium”–a program that cleans out the useless files on your Mac without removing anything that’s important to you (or your system)? “My computer is almost brand new–why is it running so slowly?” This is one of the most common questions we hear regularly. The fact is, even relatively new computers can get bogged down with unnecessary files. Your mail takes up a surprising amount of space. Consider this: every attachment you send, including digital signatures, photos, and PDFs, get saved to your Mac’s Mail application. Most people think that simply permanently deleting the items in their Mac’s Recycle Bin is the best they can do to remove unnecessary files. Much like your home, your computer has more than one place that it collects trash. Many apps, for example, have their own “trash piles” that need to be permanently removed to free up space on your computer. Macs come pre-loaded with options for users worldwide; let’s be honest though, are you ever going to open any of your apps in French? What about Hindi? We didn’t think so. Language files are just one example of bulk data that are clogging up your computer. Although iTunes is a great program, it also stores gigabytes of data that it doesn’t really have to–this includes old and outdated backups for your various devices, as well as previous versions of the software itself. A quick scan of your iTunes will likely reveal lots of data that you can free up to make your Mac run like new again. Will I lose my pictures or files? You won’t lose any of your personal files or pictures if you use the right cleaning software. Realistically, these personal files probably only take up a small percentage of your computer’s memory anyhow–the bulk of unnecessary files is buried deep within your computer’s various programs and folders. Will I lose important program files? If you use the right cleaning software, you shouldn’t have any issues with program performance; this means finding a cleaning program that only deletes files that are 100% safe to remove. If you’re concerned about this, you need to find a cleaner with a smart algorithm that can recognize what files are extraneous. We’re not saying that you couldn’t clean up your Mac by yourself, we’re just saying that it’s going to take a long time and require a lot of specialized knowledge about how your Mac runs. After all, if you wanted to find a piece of information, it would be quicker to perform an internet search than go through an entire library by yourself. That’s the kind of time you’re saving when you download an efficient cleaner/mail client for your Mac. It’s hard to know what you should clean; after all, you don’t want to delete any files that will prevent programs from running the way they should. Most people who invest in Macs do so because they think they’ll be easy to use. 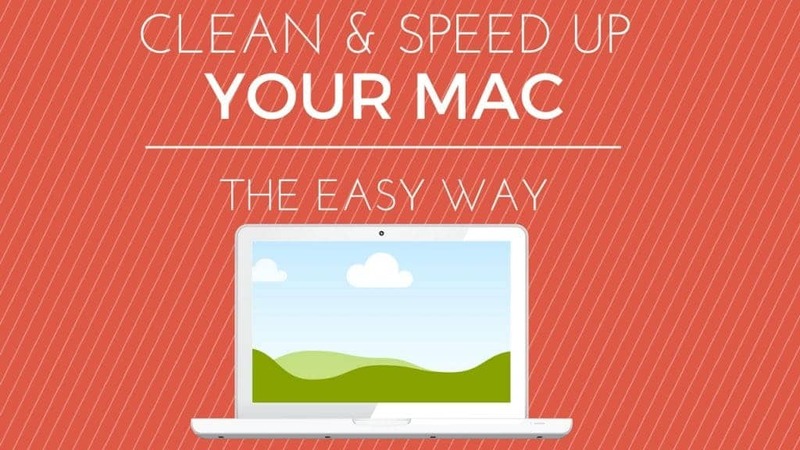 To optimize your Mac, you deserve a cleaning program that’s easy to use, too. It seems like there are almost countless Mac cleaning programs available, but we want to recommend one that we think stands head and shoulders above the rest: CleanMyMac 3. Simply put, CleanMyMac 3 being the best software application for removing old files and speeding up a Mac computer. It allows you to optimize your Mac so it performs just like it did when it was new. CleanMyMac 3 is simple to use–with just one click, you can scan your entire system–every inch of it! This will allow you to remove gigabytes worth of unused (and often unusable) files with only two clicks. Many users have found and freed up as many as 60 gigabytes worth of space on their Macs. Even industry publications have taken notice of this remarkable program: The Next Web, iCreate, TekRevue and more have talked about the benefits that CleanMyMac 3 can provide. See what all the fuss is about–try CleanMyMac 3 for free, and we’re sure that your search for a smarter cleaner is over!